Information and tools to maximize your visit to Seven Magic Mountains. 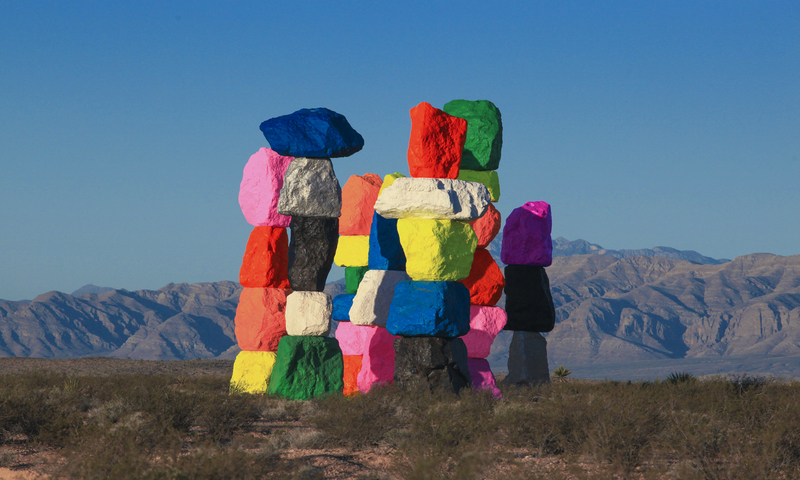 Nevada Museum of Art and Art Production Fund are developing education and interpretation materials for schools, on-site smartphone tours, lectures, and other public programs for the community that will place Seven Magic Mountains within the larger context of artworks created on public lands in the Western United States. 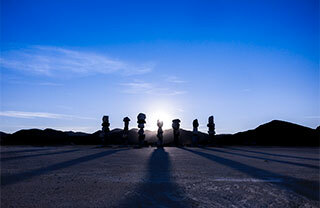 View or download Interpretive Facts by Nevada Museum of Art Center for Art + Environment Director Bill Fox, renowned land art scholar and researcher. 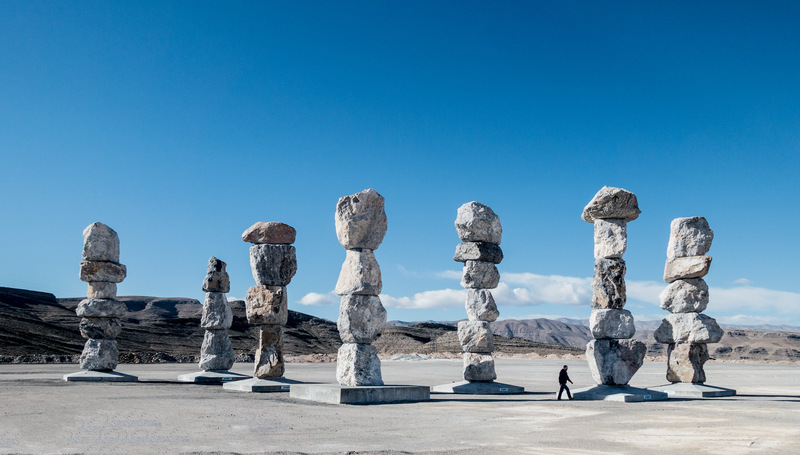 Fox correlates Rondinone’s work to thousands of years of human creative interaction with natural and built environments, extending from the first century B.C.E. into the modern era. 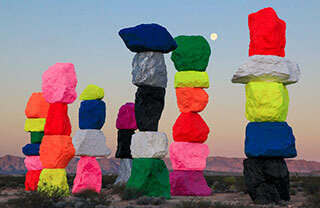 Archive materials from Seven Magic Mountains are available to researchers at the Nevada Museum of Art Center for Art + Environment in Reno, along with archives of projects by Michael Heizer, Walter De Maria, Charles Ross, and many other Land artists from around the world. 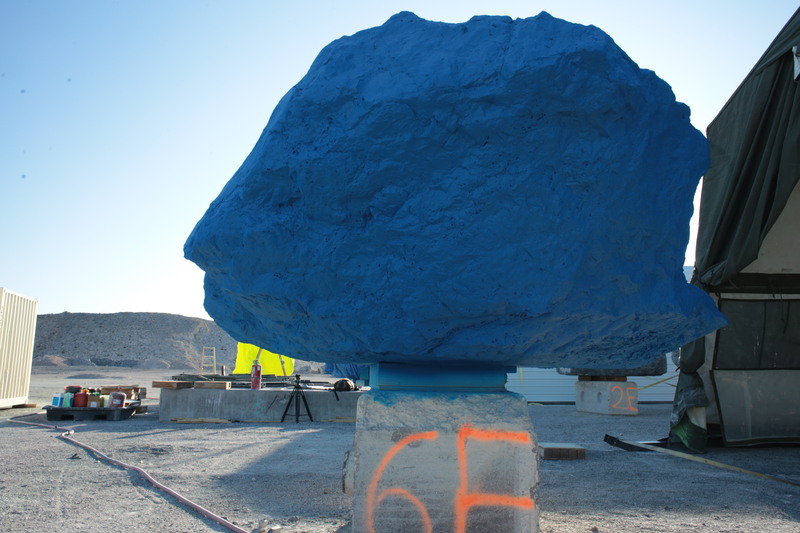 The Center’s Research Library has an extensive collection of publications about public art, site-specific sculpture, and related topics to provide context for Rondinone’s works. Please visit the Center online: nevadaart.org/ae/. Are you a K-12 teacher yearning to infuse art education into your classroom? Discover how to apply themes present in Seven Magic Mountains to various disciplines including common science core standards. Find downloadable lesson plans and curriculum addendum at the links below. Parents, you can also use these tools to create an educational family experience. Please note: formal public school tours to Seven Magic Mountains are not available through either the producers or Clark County School District. Interpretive facts provided by Nevada Museum of Art Center for Art + Environment Director Bill Fox. 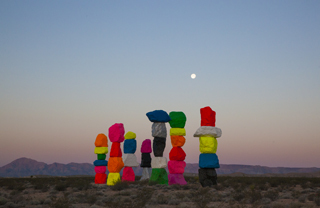 This lesson plan will reference the large-scale public artwork, Seven Magic Mountains by Ugo Rondinone, though the objectives and process can be applied when looking at any large-scale public artwork. The construction of Seven Magic Mountains posed significant design and engineering challenges. Using this project as inspiration, students will explore the Engineering Design Process in order to design, construct and test student built towers within the constraints of the defined problem and available materials.